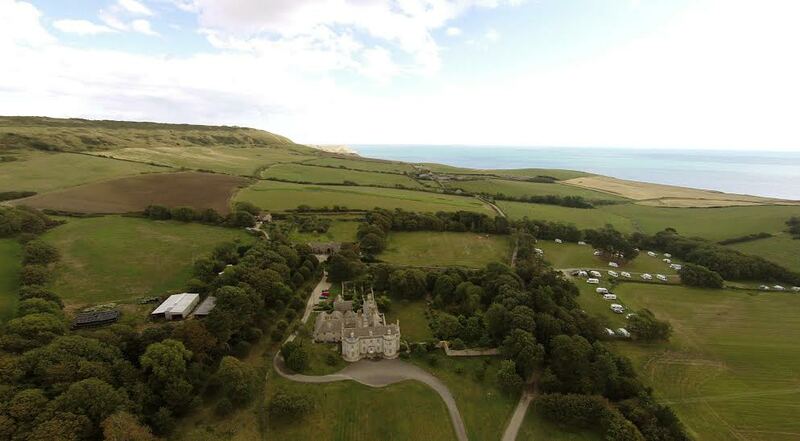 Kimmeridge is a stunningly beautiful place in Dorset, nestled within the Purbeck countryside. 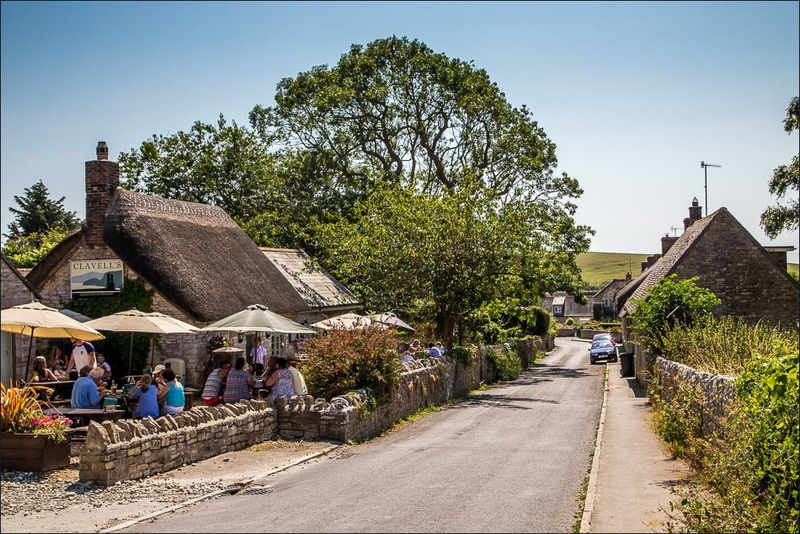 The picturesque village is a short distance from the sea and the breath-taking scenery of Kimmeridge Bay. As an 'Area of Outstanding Natural Beauty' it has much to offer the visitor. When you visit the museum, be sure to ask us for one of our guides to the Village and how you can get the most out of your visit. 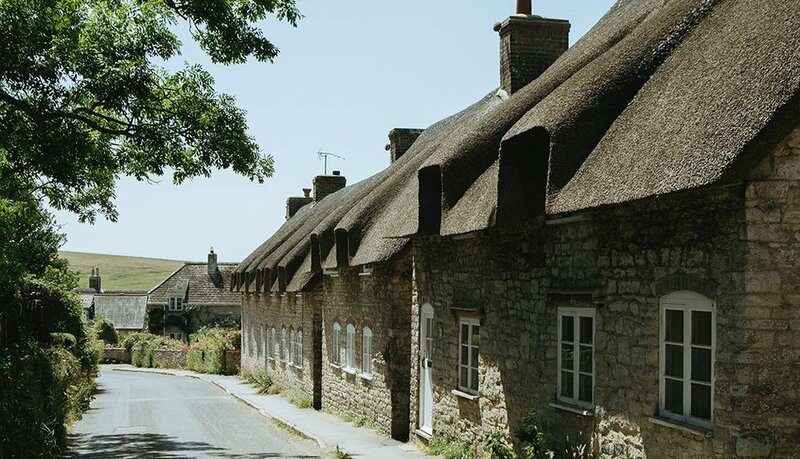 The Village:- Listed as a Conservation Area because of its historic and architectural interest, the village dates back to medieval times and is mentioned in the Domesday Book. 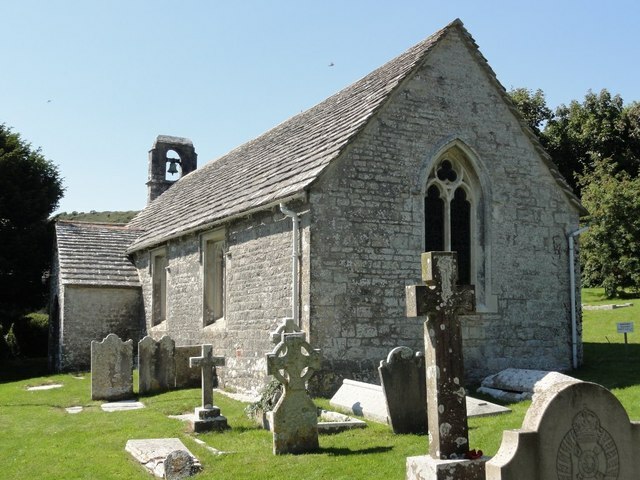 The parish church to the north of the high street is 12th century in origin although it was mostly rebuilt in 1872. The former post office is now Clavell's restaurant and café. Kimmeridge Bay:- The bay is part of the dramatic and historic Jurassic Coast World Heritage Site that stretches 95 miles from Exmouth in Devon to Studland in Dorset. 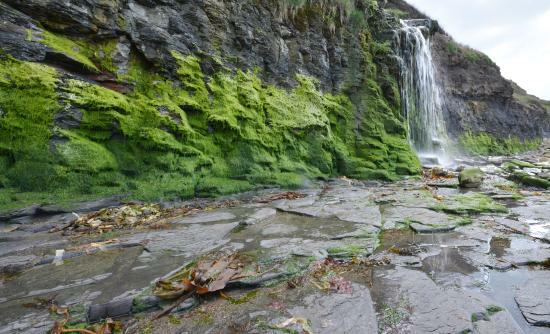 Some of the most important geology along the Jurassic coastline can be found here at Kimmeridge and as such, is visited by geologists and paleontologists from around the world. Don't forget to check out some of the WW2 military history down at the bay - look out for the pillbox on the beach and the dragons teeth anti tank placements dotted around the bay. 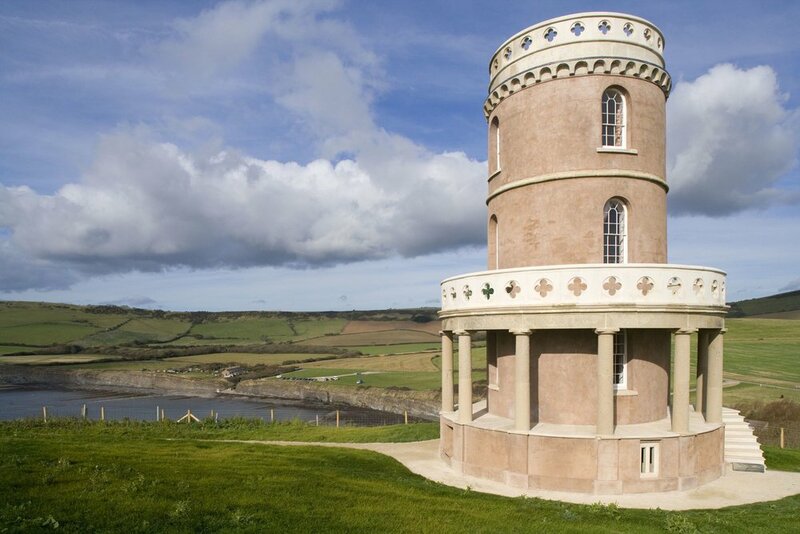 Clavell Tower:- Sitting high on the cliff overlooking Kimmeridge Bay is Clavell Tower. It was built in 1831 by Reverend John Richards Clavell as an observatory and folly. It has served as a feature in the local landscape ever since and was once used by sailors and smugglers as a navigation mark. It was relocated and reconstructed by the Landmark Trust in 2008 and can be rented for holiday visits, you can find out more here. The Oil Industry:- Commercial mining of oil shale started on the Kimmeridge cliffs in 1849. Oil extracted from the shale was used to make things such as varnish, paint, lubricating grease and paraffin. The shale was shipped out by boat to factories in Weymouth and later Wareham. in 1936, trial drillings for oil found reserves at around 250 metres. In April 1959, BP started drilling and struck oil at 540 metres below sea level. The oil well, known as 'The Nodding Donkey', can be seen up on the cliff and is still producing about 63 barrels a day. Walks :- The area is ideal for countryside and coastal walks with many footpaths including the south-west coastal path. Ask at our museum for a copy of our Kimmeridge Bay and Village guide and walk. Marine Wildlife:- When the tide is out, Kimmeridge Bay is a haven for marine wildlife and has the perfect conditions for rock pooling where you can find sea anemones, crabs, fish and invertebrates. Down by the shore, you will find The Fine Foundation Marine Centre where you can learn more about the marine and seashore wildlife along the coast. Further details of their opening times and events can be found here. Smedmore House:- The land at Kimmeridge belongs to the Smedmore Estate and its centre is Smedmore House, a Grade 2 listed manor house, which dates from 1620. Built by the Clavell family, it is still owned by its descendants. The house is licensed for civil wedding ceremonies and is also available for rental for holidays, weekends, meetings, celebrations and wedding receptions. It sleeps 16 in 8 bedrooms. By special arrangement, group visits to the house and gardens are possible throughout the year. Charity open days and concerts are held during the summer. Details are here. Parking:- There is plenty of parking available at The Bay. This is via the Toll Road; but having paid the toll of £5 (which is levied by the Smedmore Estate who own the land), there is no other charge for parking or use of facilities down at Kimmeridge Bay. There are public lavatories down at the Bay. Coaches:- Coaches and minibuses with over a 12 seat capacity are prohibited from certain minor roads within the Purbeck district, unless in possession of a permit from Dorset County Council. To apply for a coach permit, for which there is no cost, please follow this link . Applications must be made at least 10 working days prior to the date of travel. 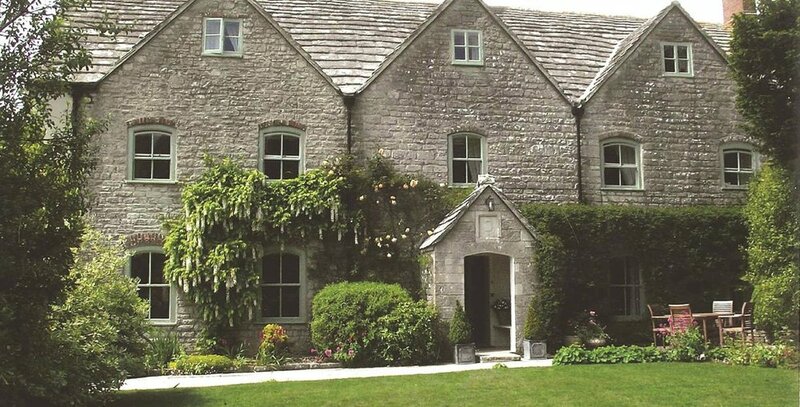 Places to Stay:- Kimmeridge Farmhouse Bead & Breakfast is situated right next to The Etches Collection. For further information and to book, see here. There is also a caravan site located next to Smedmore House. To find out more information see the link here. 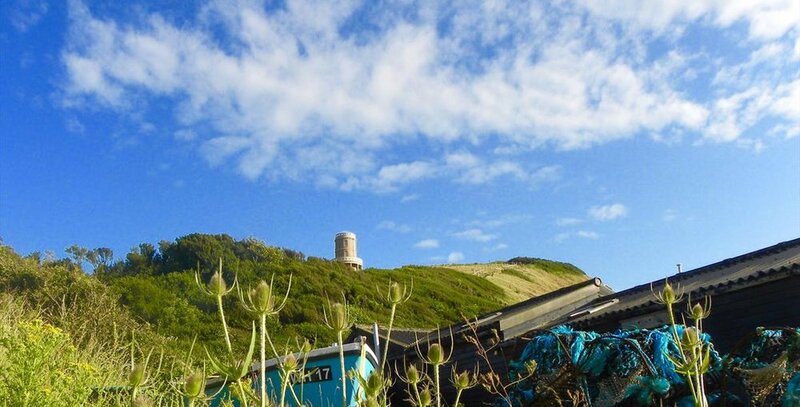 Eating:- Kimmeridge has its own award-winning café and restaurant – Clavells – anything from a snack to a full celebration meal is available just across the road from the Museum. Events in The Village Hall:- The Clore Room at the Museum also serves as our Village Hall with many events throughout the year. This splendid facility is available to hire. For more information contact us here.